I put together a list of my top 10 Korean films (in no particular order) and wrote a little bit about each one. Have a read and try to watch as many as you can! If you’re interested in learning more about Korean language or culture, then contact me about classes. Set in Korea during the Korean War in the 1950s. Soldiers from both North & South Korea, as well as an American Pilot, find themselves in an isolated town in the middle of the forest. 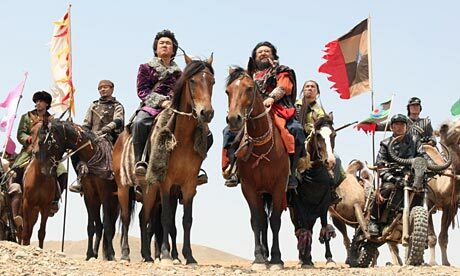 The movie shows that happens when three conflicting countries meet up with blissfuly ignorant villagers. You can learn about historical Korea and have a lot of fun with this film. A man is locked inside a hotel room for 15 years without knowing why, when he is finally released, he receives a mysterious call from a man who insists he is his kidnapper. A game ensues to find out why he was kidnapped within 5 days or he’ll commit suicide. This is a real gem of Korean movie scene, it has a great style and is very well made. You may have heard of this cult classic, with its amazing acting. Essential viewing for anybody with an interest in Korean film. A window living along with her only son, selling medicinal herbs in a small town in rural South Korea. Her son is everything she has, even though he is 28 & struggles with learning disabilities. One day, a girl gets murdered and the police accuse her son as the killer. Desperate to save her son, she looks for the killer by herself. Another great story and amazing acting from He-Ja Kim, as the mother. It perfectly shows the limitless passion of a mother. A young man works in a furniture factory and his dream is to strike it rich. He decides to start gambling and joins a card game, but falls in with a con man, instantly losing all of his savings. As luck would have it, he meets a legendary player and learns how to play the game professionally. This movie captures raw desire, hope and despair and is gripping to watch. It’s the 1930s, and three men meet in a train. A bounty hunter, a gang leader, and a train robber. They each get caught up in crazy mission to find a treasure map. Famous for its Western comedy style, this film shows three very famous Korean actors in unique & roles. 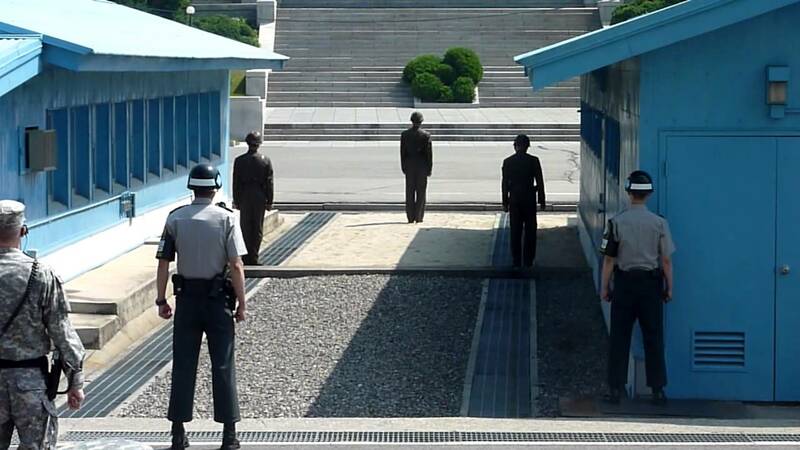 After a death under mysterious circumstances at the DMZ, tensions rise. Suddenly, North Korea insist this is a terror attack from the South. However, South Korea suspect that the North kidnapped their soldiers. Investigations are started by the Swiss as a neutral party and the story unfolds. Directed by the famous Park Chan Wook, of Oldboy fame. Set in 15th century Korea, two street performers decide to make a play about the King, mocking him. The play grows in fame and the group become popular in the capital city of Han-yang. Soon enough, they are arrested for treason. One of the men makes a deal with the King’s servant – either make the king laugh at their play, or be executed. This is a great opportunity to see traditional Korean buildings and clothing & gives an insight into old Korean politics. A beautiful girl (Geum-Ja) goes to jail at just 20, for the kidnapping & murder of a child. Over the 13 years that she helps many prisoners and is known by the nickname “Kind Geum-Ja”. After released, she plans revenge on Mr. Bark, who kidnapped her daughter and made her the scapegoat of his crime. Personally, I think this is the best of Park Chan Wook. Its style is unmatched. This is a movie about two brothers who are conscripted during the Korean War. The older brother fights hard and becomes a war hero. When presented with a reward, he fights harder to send his brother home. This movie highlights how war destroys the country and rips families apart. A man works in his father’s convenience store next to the Han River in Seoul. One day, a monster appears in the Han River, naturally scaring the locals. When running away with his daughter, he loses grip and the monster takes her away. Casting danger aside, the man and his family desperately try to find his daughter. Many people critique this film because the CGI is not very good. This is true, but Korean movies to not have Hollywood budgets! Better to focus on the family story and you will enjoy this movie a lot more. Click articles about How to make Kim bab, Traditional Wedding and more. Amy Kim is a South Korean native who relocated to Manchester. When not teaching Korean, she spends her free time reading & painting. Now you know a bit more about studying Korean, why not get in touch and book an introduction lesson for only £10. Copyright Korean Tutor - Operating under Bomi Kim Ltd.